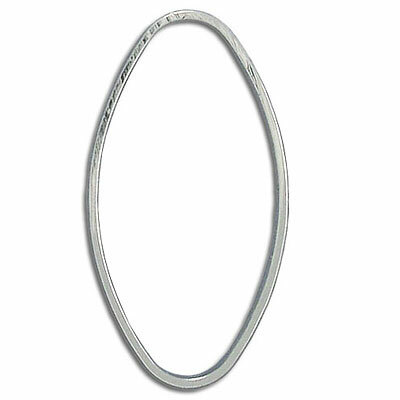 Oval jumpring, 19x41mm silver plate (pack of 14 pieces), Beadalon. Frabels Inc.
Jumprings, soldered, oval, 19x41mm outside diameter, silver plate, pack of 14 pieces, Beadalon. (SKU# JRS314O41/SPL). Sold individually.